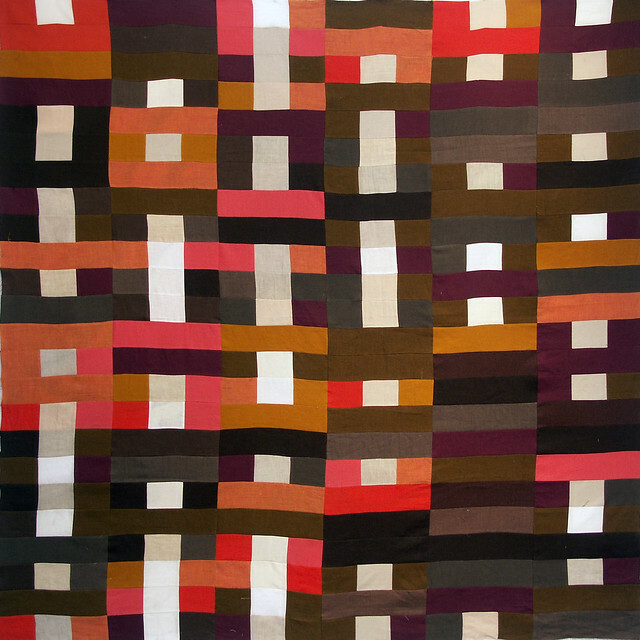 In the last installment I was ADVANCING slowly through my I Ching Modern Quilt blocks. I've finally finished piecing my top and now it's time to review the quilt and my I Ching journal. There are 24 blocks making up my 72" square quilt. Each block, a hexagram created from the random throwing of three coins six times, represents a question put to the I Ching, and the oracle's answer. I kept a journal with all my questions and the hexagrams received. Below I've listed in order, my blocks along with the questions asked. Remember the quilt begins at the bottom right corner and moves up and to the left. The very last block is the at the top left. Review your I Ching Modern Quilt journal and your I Ching Modern Quilt top. Well done! Take a good long look at your finished quilt top. It is an image of randomness. How does this pattern of randomness affect you? Do you sense any meaning in the randomness? 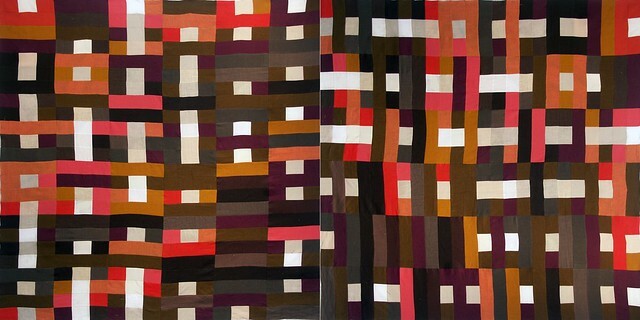 Turn your quilt on its side, which orientation do you like best? In the next installment I finally get to QUILTING my I Ching Modern Quilt.